Jordan Brand gave another treat to their lady followers after releasing another must-cop kick. 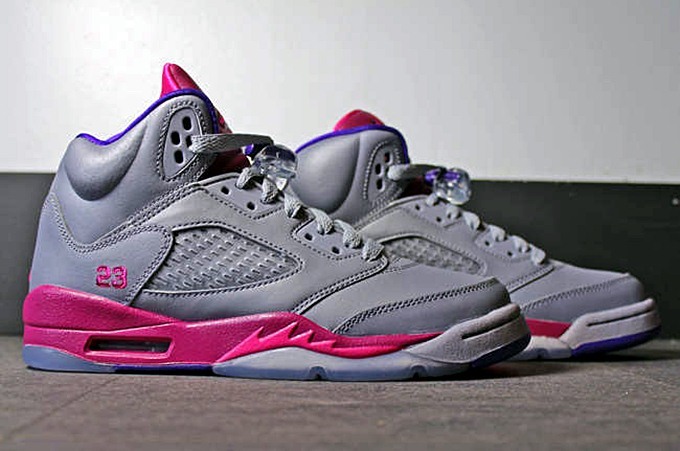 Now available in Cement Grey/Pink Foil-Raspberry Red-Electric Purple colorway is the Air Jordan 5 Retro Girl’s kick that hit the market this weekend. The kick sports a grey-based upper part accented with raspberry red, pink, and purple hints. This kick is available worldwide for $115 per pair, including gradeschool and big kid sizes, while it will also be released soon in preschool, toddler, and infant sizes.